An explosion rocked one of the kitchens at the All Inclusive Resort Grand Paradise Bavaro near Punta Cana, Dominican Republic. 5 workers were hospitalized and 16 kitchen workers hurt by the blast that destroyed one of the kitchens on the property. The restaurant was closed at the time and none of the hotel guest were hurt. The hotel has several Restaurants including the Taino which serves Dominican food, La Cana which is the resorts steak house, the Sea Scape a seafood restaurant, Michelangelo an Italian restaurant, Asia with Oriental food and the resorts buffet restaurant La Laguna. There is no word at this time which restaurant was damaged by the gas explosion. For our most recent visit to Las Terrenas my wife and I decided to check out La Residencia Del Paseo, this is a three story hotel in the heart of Las Terrenas. There are studios for 1-2 people and duplexes for 2-4 people. The rooms have hot water, 24 hour power and free WiFi internet. For us La Residencia Del Paseo was in the ideal location. In the morning I liked to walk over to the Boulangerie Francaise to pick up breakfast, there is also a nice colmado in Plaza Taina to pick up ice, orange juice and other items for breakfast. This colmodo is pretty well stocked and will have most of the small items you’ll need including beer, rum, vodka, fruit and snacks as well as larger cooking supplies . Right next door to the Hotel is a small outdoor mall (a Centro Comercial) called El Paseo de la Constanera. I will be writing quite a bit more on this mall in a future post, but for the sake of this article it’s good to know you will find clothes, gift stores, a store with things like sun screen and health items etc. Pretty much anything you might need will is within a hundred yards of La Residencia Del Paseo. There are also two ATM where you can withdrawal money, the money will be dispensed in Pesos. For this reason I don’t recommend bringing a lot of cash or travelers checks with you. It is easier to take your money out as you need it instead of carrying a lot with you. Normally this is where I would give a review of a Hotel after staying in it. But with the Residence Corte del Mar in Las Terrenas that is going to be a little difficult. Even though we had reservations we didn’t end up staying there that night. 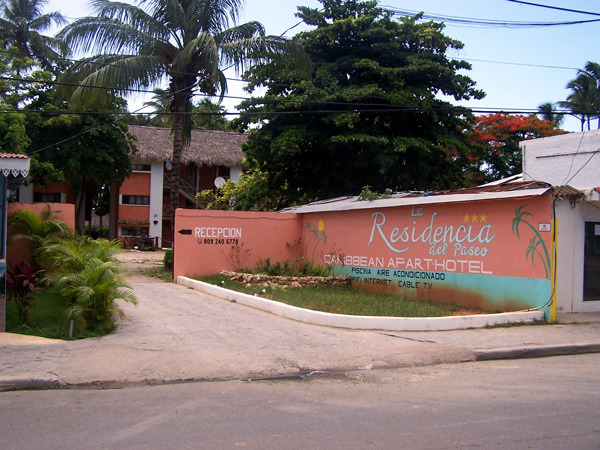 We had planned an overnight stay with a small group of friends and family and thought this would be a good time to try out one of the larger apartment style accommodations you often find in the Dominican Republic. This time we chose a 3 room apartment with a kitchen where we would heat up several of our meals that we had pre-made. There were several different Hotels to choose from but the Corte del Mar (Sea Court in English) was close to the section of beach we liked, had nice grounds and a pool, and had a good price. The reservation counter didn’t have a person that speaks English (not uncommon) so it was necessary to speak Spanish (no problem, my wife is fluent) but this is something to consider when making reservations here. On that note though, Las Terrenas seems to have a very large Italian population, many of the business owners seem to be Italian and most menus include English, Italian, Spanish and sometimes other languages, so if you speak Italian you might have that as an option too. So, reservations were made. The person we talked to at Residence Corte del Mar said they have no way to take credit cards over the internet or by phone for the deposit, but they said they would send us some instructions on how we could send a deposit if we wanted and took our email address to send the instructions to. The email never arrived but we were not too concerned, the deposit was optional and most of the Hotels we have stayed at here don’t take credit cards, so except for sending by mail (which we have found can take up to 6 months to arrive at it’s destination), there is no way to send a deposit. Well, this was probably the deal of a lifetime. The Lifestyle Resort in Puerto Plato was running a promotional deal for stays between October to December of this year to their very plush All Inclusive Hotel. For $10 USD per person per night you would get their VIP package which included the room, all meals including al a cart meal at 5 different restaurants, 24 hour a day food ad one of the different locations in the resort and of course all drinks are included. At the VIP bar that means all of the imported alcohol also. All tips were even included, although if someone gave very good service it was nice if you can tip a little extra. There was one catch though; you had to be from the United States, Europe, or Canada. The thing is they only wanted people from other countries to use the deal so they could promote their Resort as well as promote their time shares. While getting the tour of the resort (as well as the timeshare sales pitch) was optional, you had to refuse it several times during your stay. Not a big problem, the people asking were always nice, never a hard push. While this deal closed, I have received several notices from cheapcaribbean.com that they are continuing to offer other great deal on their All Inclusive VIP package. They have extended the deal several times a t a little higher price of $20 USD per person per night. The “taxes” also went up so it turns into a total of $28 USD per person per night. Still this is an awesome deal. If you stay at a regular hotel and pay for your own food you will likely pay about $5-$7 for breakfast and lunch and $12 – $20 for comparable dinners. This deal includes all food, drinks, tips, and the room for the same price, making this bay far one of the cheapest ways to visit the Dominican Republic. 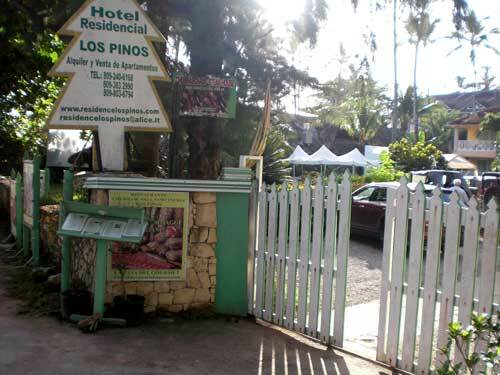 The Los Pinos Hotel (or Residence Los Pinos) is one of the many hotels located right across the street from the Las Terrenas beach located about 45 minutes from the city of Samana and on the North East coast of the Dominican Republic. This is a small 2 story hotel with an adjoining restaurant and bar (Churrascaria Norcineria Steak House). Also during peak season they open up a lounge area right on the edge of the beach across from the Hotel / Restaurant. The hotel is about a 5 minute easy walk to the center of town where you will find an outdoor plaza with shops and other places to eat like the Boulangeris Francaise (our favorite breakfast place in Las Terrenas). The Hotel was clean, and had a friendly staff. There was hot water in the morning and evening, but it was mostly cool during the day when they were doing laundry any hot water at all seems to be a bonus in the DR. There is a nice garden sitting area in front of the Hotel providing a nice area to relax when you are not on the beach. If you are coming with a vehicle, they have a secured parking area, which is also a good place to stow your Quad (4 wheeled motorcycle) should you choose to rent one to get around with while you are here. While it was right across the street from the beach, the view is mostly blocked by trees, especially if you are on the lower floor. Our room was on the lower floor directly behind the kitchen of the restaurant. There were no windows other than the door area looking out at the back of the kitchen (about 6 feet from our porch). As you can guess I will not be able to recommend this hotel if you are looking for a romantic vista from your room, although I would imagine the upper rooms have a little more view. Las Terrenas is a smaller beach side town on the Samana peninsula, North East of the City of Samana. Las Terranas is to date the nicest of the beach towns we have visited. We found the beach to be clean, not highly packed with people and with far less vendors hassling you while you are trying to enjoy the beach. 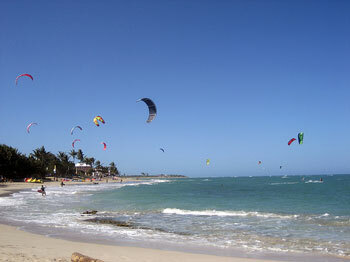 I’ll go into greater detail in my article on the Las Terrenas Beach. 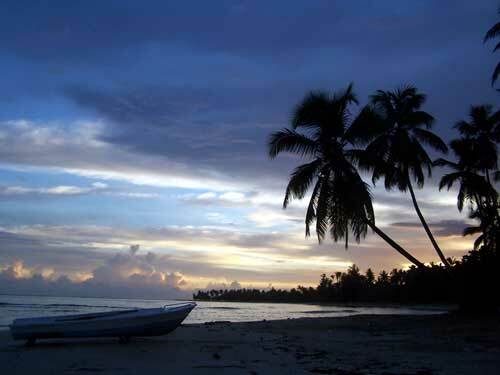 Another thing you will probably need to know is how to get there our Las Terrenas Taxi page should help. September 2 will mark the grand opening of a new luxury resort on the North Shore of the DR. Nikki Beach Cabarate is having grand opening events scheduled from Thursday Sept 2 through Sunday Sept 6. Nikki Beach is a high end beach club that started in 1996 and has received such recognition as one of the top beach clubs in the world with recognition from “The Travel Channel’s” “World’s Most Sexiest Beach” list where they reached #1. The resort chain is expected to open 10 new locations starting in 2012. Located along the North Coast’s route 5, only 20 minutes from the Puerto Plata International airport, Cabarete Beach is the perfect place for a laid back, and inexpensive, vacation. Restaurants line the beach, shops run along the main street, there is kite surfing, and several inexpensive hotels. If you’ve gotten tired of the traditional beans and rice dishes of the region, and just want a good beer and burger, Jose O’Shay’s Irish Pub is the place for you. There is also the option of pizza, cottage pie, steaks, and a few other tasty dishes. The dishes run from $10-20 dollars U.S.
My personal favorite place to eat is Casanova because it is inexpensive (happy hour runs from 4pm-7pm and gives you everything half off), and the ambiance is lovely. The most popular things on the menu are the pizzas and pasta dishes. During happy hour, a meal with a couple of beers will cost around $13 dollars. On the main road, across from Ocean Dream Plaza is Bayerischer Hof. This restaurant offers savory pork fillets with mushroom and onion sauce, with the option of sautéed or mashed potatoes, or noodles. There is also a good Hungarian stew, Schnitzel, steaks, and other dishes. The prices run from $11-20 dollars. 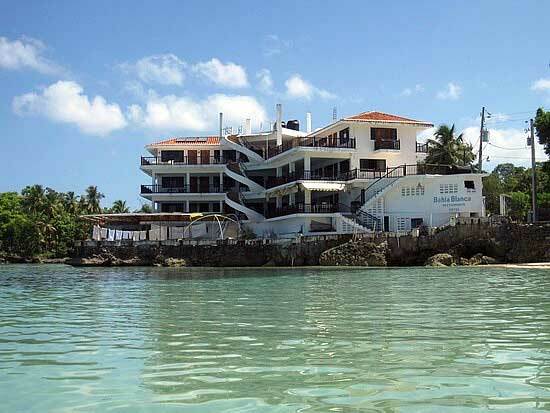 For someone who is looking for a relaxing place to take a vacation is the Baía Blana Hotel in Rio San Juan is just the place. This is literally one of my personal top five places to head to when I need a break from the city – a tucked away little spot that is a simple and affordable place to de-stress. Baía Blanca is a three story L-shaped building with around 30 rooms that can sleep from 2-4 people. Each room has a fan, wireless internet access, bathroom, TV, dresser and closet. Steady electricity is not a problem ether since the hotel has a generator. Most of the rooms face the ocean, with a lovely balcony area with comfortable couches for relaxing and socializing.